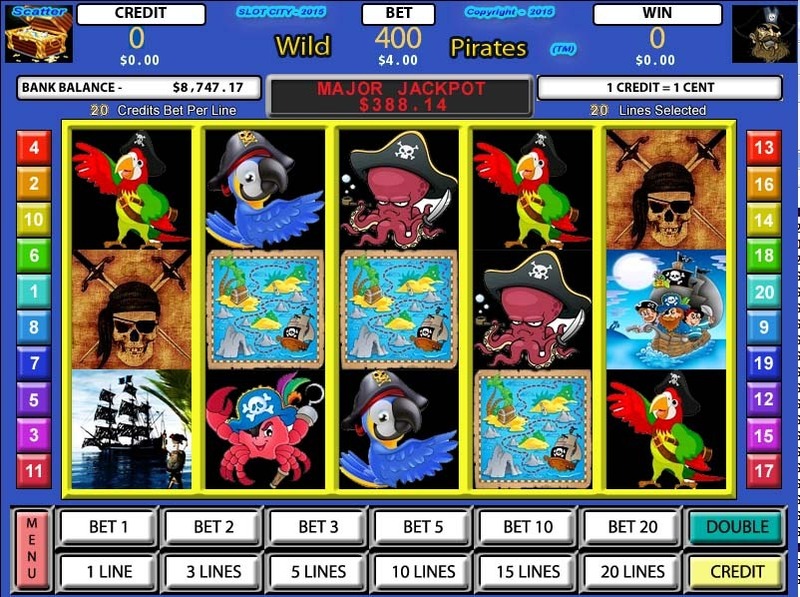 Wild Pirates is a 5-Reel, 20-Payline, Australian style poker machine with a Pirates theme. 3 or more scattered trigger the feature. 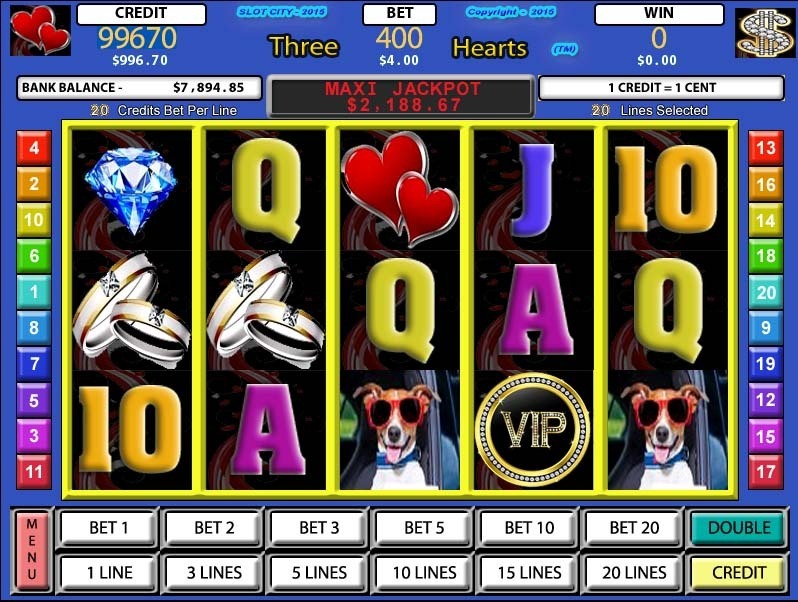 Upon winning the feature, you are awarded 15 free-games with all wins multiplied by 3. Free-games can be won again during the feature. 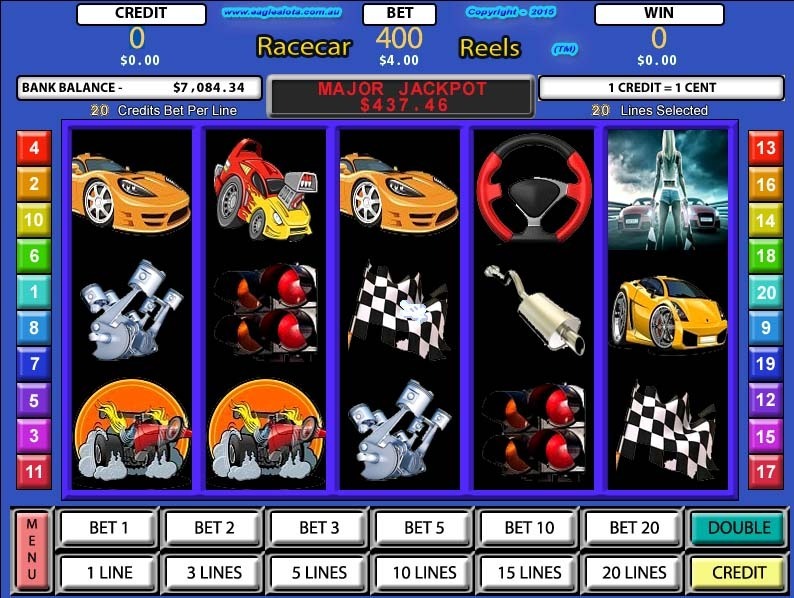 Racecar Reels is a 5-Reel, 20-Payline, Australian style poker machine with a racing theme. 3 or more scattered trigger the feature. Upon winning the feature, you are awarded 15 free-games with all wins multiplied by 3. Free-games can be won again during the feature. 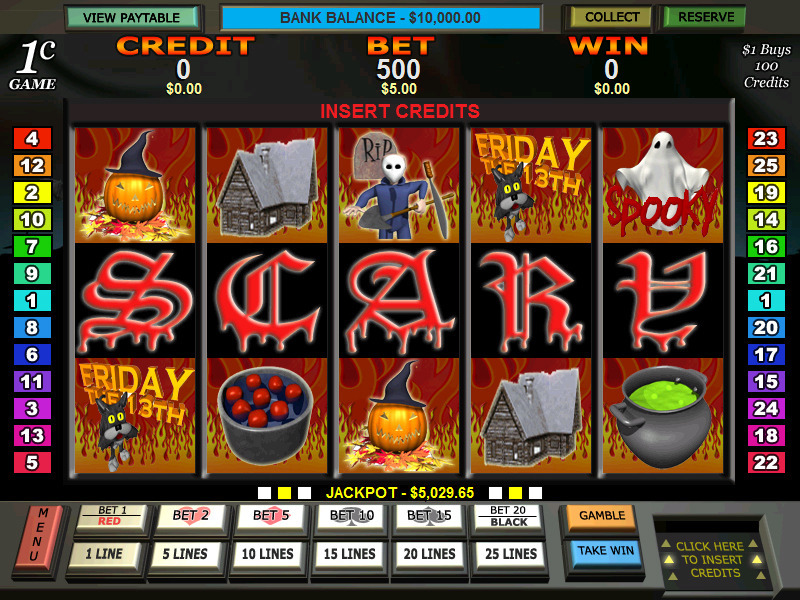 Aussie slots is a 5 reel, 25 payline slot machine (pokie) with a American / Australian theme. The Feature is won whenever 3 or more scattered ‘$’ symbols land on any 3 three reels. When the Feature is won, you can choose one of the following: – 8 Free games with all wins multiplied by 5. 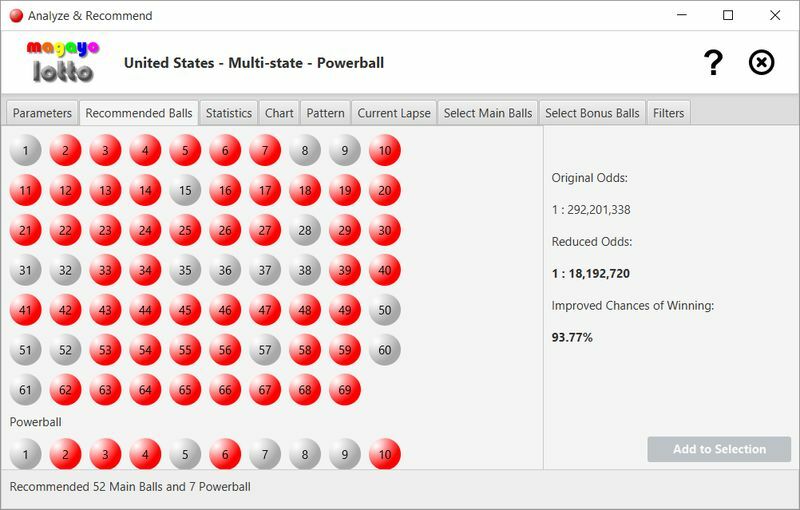 – 12 Free games with all wins multiplied by 4. – 15 Free games with all wins multiplied by 3. 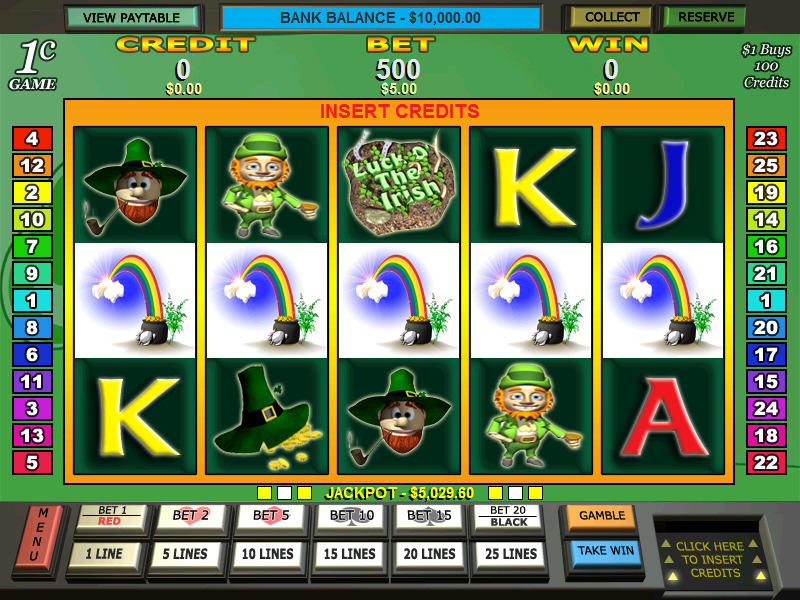 Irish Gold 5 reel, 25 payline slot machine (pokie) with a St Patricks Day theme. Play 1, 5,10, 15, 20, or 25 Paylines. The Feature is won whenever “5 pots of gold appear ” anywhere on the reels. 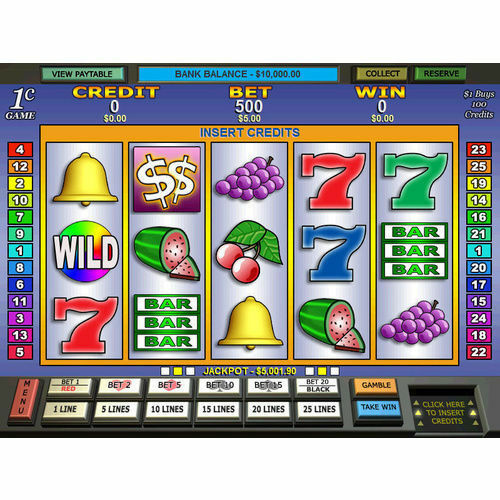 You have the option to select 8, 12, or 15 free spins. 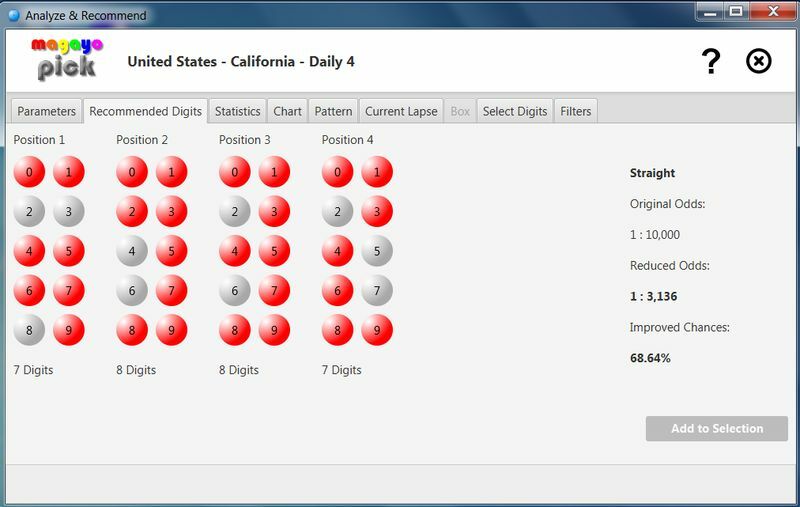 During the freegames , if 5 Scattered symbols appear The Jackpot is won. 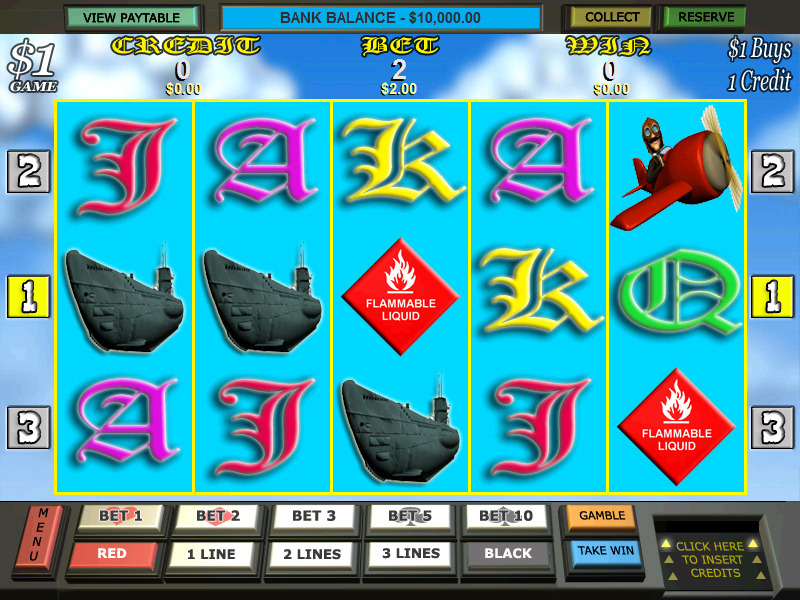 Baron Bucks is a 5 reel, 3 payline slot machine (pokie) with a Red Baron theme. Play 1, 2, or 3, Paylines. Whenever 3 Scatter symbols land anywhere on the reels, free spins are awarded. 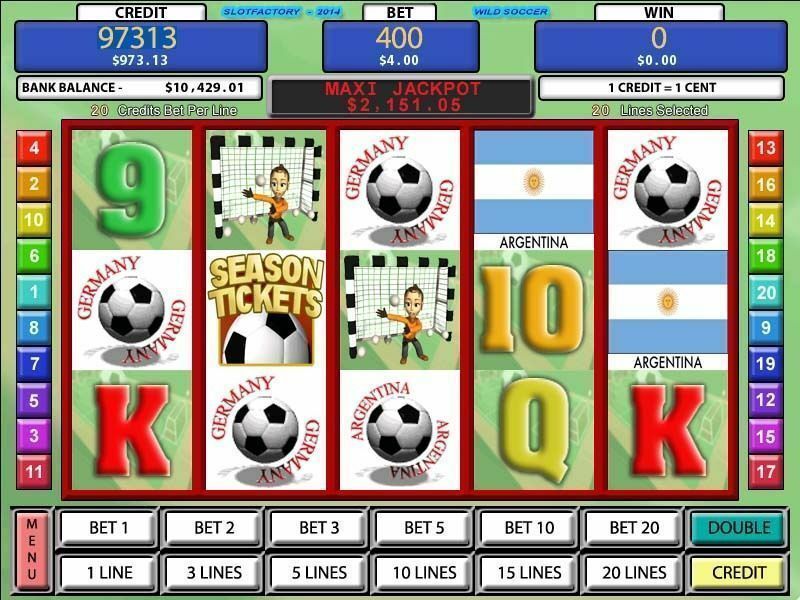 Wild Soccer is a 5-Reel, 20-Payline, aussie style poker machine with a Sporting theme. 3 or more scattered Season Tickets trigger the feature. Upon winning the feature, you are awarded 15 free-games with all wins multiplied by 3. Free-games can be won again during the feature.